Nothing says Italian like a little parm. Eggplant Parm, that is. Colavita’s version keeps it healthy, by roasting the eggplant instead of frying. This dish might win “Most Versatile,” as you can serve it as a main, turn it into a pizza, and even have it for breakfast! A little breadcrumb crunch gives this dish some texture. First soak the eggplant: Slice the eggplant into thin rounds. ⅛” thick is best. You can use a mandoline slicer to help with this process if you like, but a steady hand and a sharp knife will do. Fill a large bowl with water and mix in about 2 tsp salt. Soak the eggplant in the water for at least 1 hour, but up to 2 hours. Heat your oven to 400°F and line a baking sheet with parchment paper. Alternately, you can use a 9”x12” baking dish. After the hour (or two), drain the eggplant and pat dry with paper towels. Place one row of eggplant on lined baking sheet or in the dish. 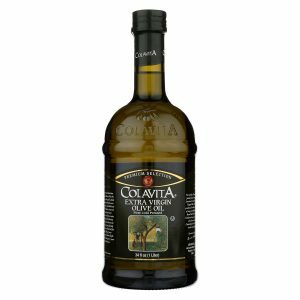 Drizzle with Colavita Olive Oil and sprinkle with sea salt. Using a spoon, spread a thin layer of the crushed tomatoes on top of the eggplant. Place basil leaves (as many as you’d like) on top of the layer of sauce. Slice the mozzarella cheese into discs, about ¼ thick. Place the cheese on top of the basil. Be careful not to over-cheese this first later, so space the cheese rounds about 2 inches apart. 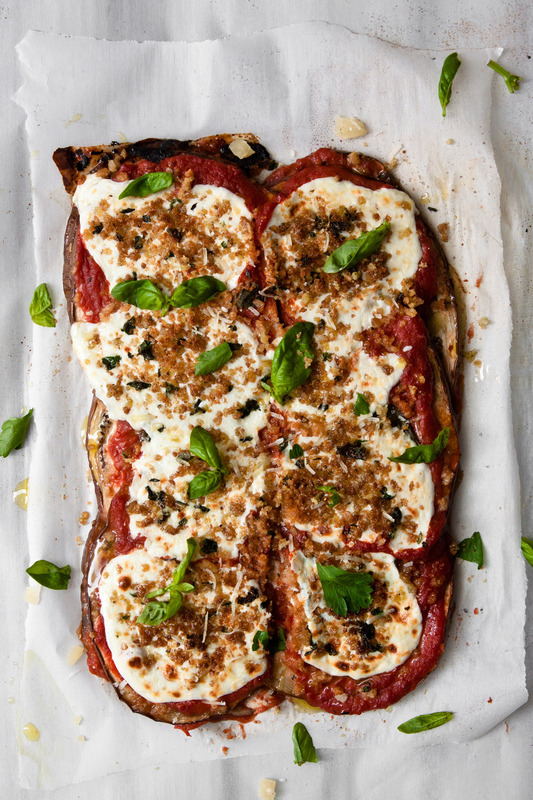 Keep layering — eggplant, crushed tomatoes, basil, cheese — until you run out. The top layer should be mozzarella cheese. Sprinkle breadcrumbs on top of the final layer of cheese. Cover with aluminum foil and bake in the oven for 30 minutes. Uncover and bake an additional 12-15 minutes, until the cheese is bubbling and the breadcrumbs are golden brown. Remove from the oven and serve with more fresh basil and grated parmesan cheese. Variations:Try smoked mozzarella, or roast the tomatoes for a savory punch! Here’s how: Heat your oven to 400°F and line a baking sheet with parchment paper. 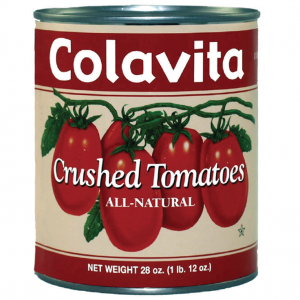 Drizzle the tomatoes in 1 tbsp Colavita Olive Oil and sprinkle with sea salt. Roast them in the oven for about 25 minutes until they start to charr and wilt. Remove from the oven and allow to cool.